"...a true tour de force from page one. " Forensic expert Professor Nick Fennimore has engineered lectures in Chicago and St Louis - a ploy to get to Detective Chief Inspector Kate Simms. She's in the United States on sabbatical with St Louis PD, and he's keen to see her again. 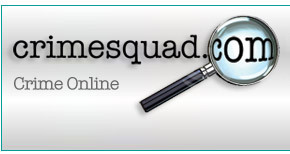 Simms is working with a 'method swap' team, reviewing cold cases, sharing expertise. But Simms came to the US to escape the fallout from their previous case - the last thing she needs is Fennimore complicating her life. A call for help from a sheriff's deputy in Oklahoma seems like a welcome distraction for the professor - until he hears the details: a mother dead, her child gone - echoes of Fennimore's own tragedy. Nine-year-old Red, adventuring in Oklahoma's backwoods, has no clue that he and his mum are in the killer's sights. Back in St Louis, investigators discover a pattern: victims - all of them young mothers - dumped along a 600 mile stretch of I-44. The Oklahoma and St Louis investigations converge, uncovering serial murders across two continents and two decades. Under pressure, the killer begins to unravel, and when a fresh body surfaces, the race is on to catch the I-44 killer and save the boy. The second novel featuring tortured, yet brilliant, forensic professor, Nick Fennimore and DCI Kate Simms seeking redemption is a true tour de force from page one. This is an electric, intelligent and thoroughly researched thriller that will leave you gripping the book like a vice until you've reached the final page. The ambitious plot is intricately detailed, tightly written, and the level of forensic research is so clever and accurate you have to keep reminding yourself this is a work of fiction as there are times it reads like a chilling account of a true crime. The descriptive prose of the killings is frighteningly realistic, and every misfit misleading character is written with flesh-crawling accuracy. A. D. Garrett has created a wonderful double act in Fennimore and Simms. Their partnership is original, taut with frustration and crackling with an underlying sexual tension. 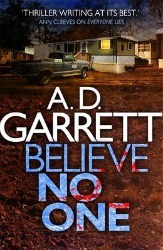 British crime writing has been screaming for a complex and utterly compelling thriller – 'Believe No One' is that thriller.